Each year, November is recognized as National Adoption Awareness Month, encouraging communities to support the thousands of children across the country in need of permanent families. In New Jersey, there are approximately 11,000 children in the foster care system. These vulnerable children often spend years in foster care, moving from one placement to another without ever achieving a sense of permanency, roots, or stability. This year's National Adoption Month theme is "In Their Own Words: Lifting Up Youth Voices." This is the work that Court Appointed Special Advocates (CASAs) do each day. A CASA is a volunteer who advocates for a child in the foster care system. These advocates empower children to be their own voice and they also serve as the voice for those children in court. National Adoption Month is an initiative with a goal to increase national awareness and bring attention to the need for permanent families for children and youth in the U.S. foster care system. In the United States nearly 700,000 children experience abuse or neglect each year. Instead of playing with friends and creating happy family memories, they’re attending court hearings, adjusting to new foster homes, and transitioning to new schools. That’s a heavy burden for a child to carry. With a CASA volunteer dedicated to their case, these vulnerable children have someone speaking up for their best interests. With CASA’s support, more children have the opportunity to thrive in a safe and loving home. It is well known that teenagers are less likely to be adopted, often because of their age, and are much more likely to age out of foster care without strong or stable family support. Securing lifelong connections for teens in foster care, both legally and emotionally, is a critical component in determining their future achievement, health, and well-being. The annual National Adoption Month celebration has made the dreams of thousands of children come true by working with policymakers and advocates to finalize adoptions and create and celebrate adoptive families. “During my almost 10 years at CASA I have had the privilege to witness numerous adoption stories and work with single parents, couples, and extended families who have opened their hearts and homes to vulnerable children who need nurturing and stability. There are many ways to open your family to a child who needs a home. Whether it is a private adoption, adoption from foster care, kinship legal guardianship, international adoption, identified adoption, or step-parent adoption, these all add up to creating or expanding a family,” said CASA of Morris and Sussex Counties’ Executive Director, Lisa Barsky Firkser. 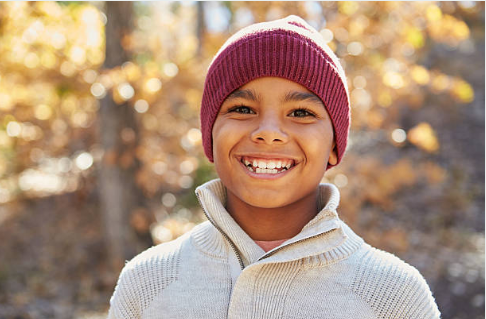 National Adoption Month is a collective effort of state, federal, and private agencies to draw attention to the more than 100,000 foster children and youth across the country who await permanent families, as well as recognize those who have chosen to expand their families in this special way. National Adoption Month is also a call to action. Become a foster family, open your home to adoption, become a CASA volunteer, a youth mentor, or support an organization that helps children living in foster care. Your involvement will not only change a child’s life, but will also change yours. CASA of Morris and Sussex Counties is part of a statewide network of community-based, non-profit programs that recruit, screen, train, and supervise volunteers to “Speak Up for a Child.” These children have been removed from their homes due to abuse or neglect. CASA is the only program in New Jersey that uses trained volunteers to work one‐on‐one with children, ensuring that each one gets the services needed and achieves permanency in a safe, nurturing home. Attend an Information Session to learn more about becoming a CASA volunteer advocate in Morris and Sussex Counties. Visit www.casamsc.org or call 973-998-7590 for more information.